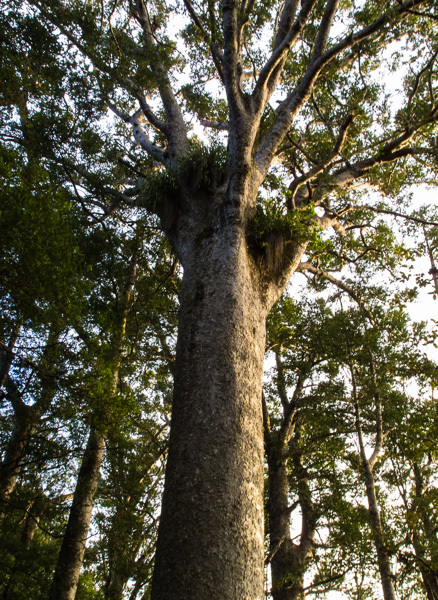 Kauri trees (Agathis australis) are conifers in the family Araucariaceae, which grow very large. They can be more than 50 m tall, develop a girth up to 16 m, and live for more than 2000 years. 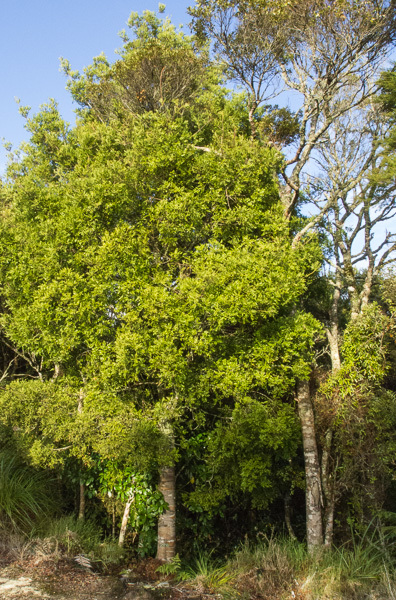 The genus Agathis includes other kauri trees from Australia, SE Asia and the Pacific Islands. 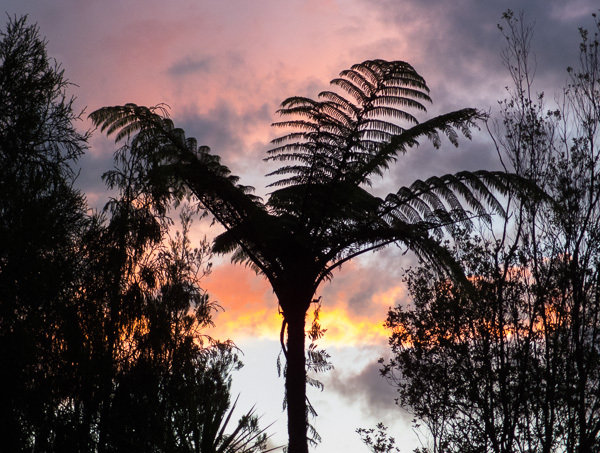 New Zealand kauris were heavily exploited for their timber and their gum in the past so they are far less common now. 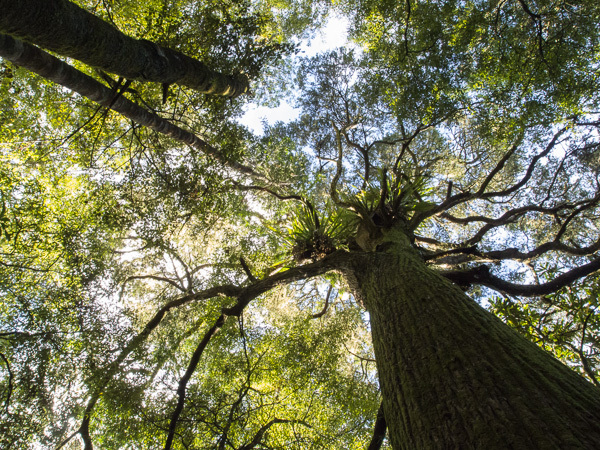 Fortunately, there are many small areas of forest habitat in the north of New Zealand where kauri is regenerating well, across much of its original range. These regenerating groves of trees are commonly found on steep ridges and hillsides. 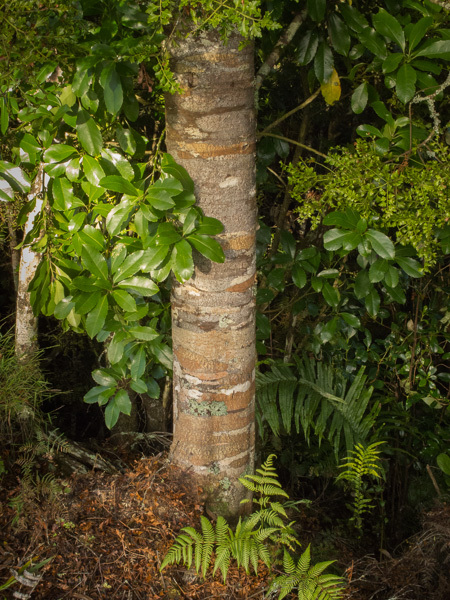 Kauri trees have distinctive greyish-coloured bark, with a ‘hammer’ mark texture caused by flaking pieces of bark. There are both male and female trees, which produce cones of different kinds. 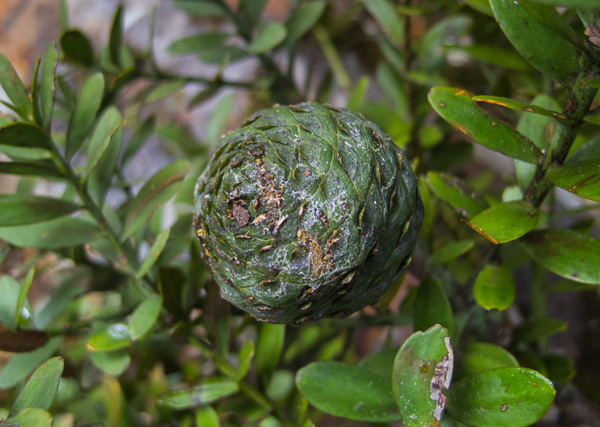 Male cones fall to the ground once they have released their pollen, while female cones take 3 years to mature, turning from bright green to reddish brown. Once mature, they release their seeds. 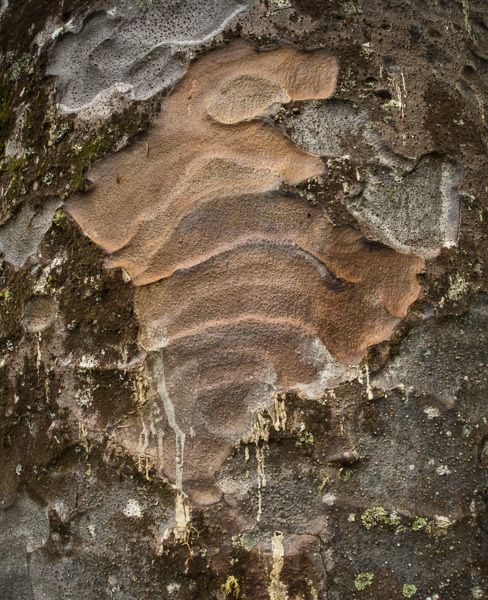 Kauri trees produce a sticky gum, or resin that oozes from their bark, leaves and cones, fills in holes or damaged areas, and then hardens. This protects the trees from disease, and allows them to grow to a very old age. Kauri gum used to have high commercial value, mainly for use as a varnish. Gum diggers extracted the gum from swamps and soils where kauri trees had grown in earlier times; dropping branches, and eventually falling to the ground and becoming covered by debris. 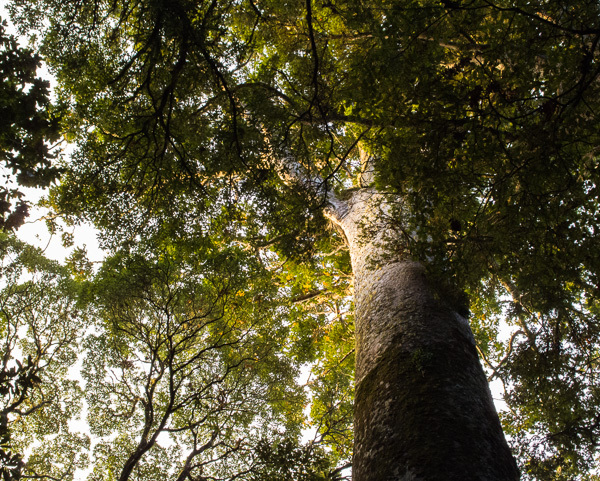 Many other trees grow in kauri forest. Some are large, some small, and many of them are restricted to northern parts of the country, including tanekaka, or celery pine (Phyllocladus trichomanoides) pictured here. 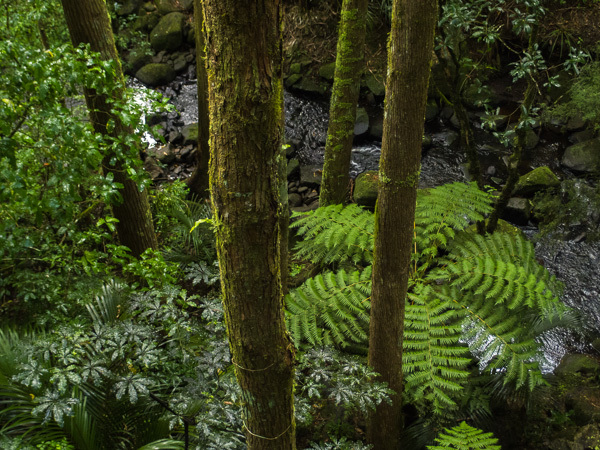 The tree fern is another common feature of these forest areas.